The Convocation Day was truly a momentous occasion on an unprecedented scale for International Medical Faculty, Osh. 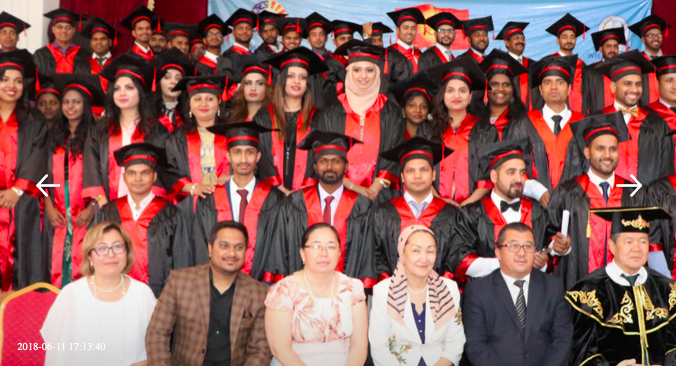 The Graduation ceremony and the farewell celebrations was held on Saturday, 9th June, 2018. The venue was in very own convocation hall in the main campus of Osh State University. The Chief Guest for The Day was the sir Abduvaliev Abdygany, vice-rector of Osh State University and The Guest Of Honour Dr.Muratov Dzhanibek, Dean of International Medical faculty, Osh. Also in attendance with the honourable dignitaries Dr.Dzhumaeva Lazokat , Vice dean of IMF, Ainura Mitalipova , Vice dean of IMF, Tashmatova Nazgul, Bugubaeva Mahabat, presided the function, Sabira Mamatova, head of the departments. The convocation day began with the hosting of Prashika and Sowjanya, majestic and grand academic procession followed by welcome dance, which was notably impressed by the splendid of our ceremonial traditions. The formal function began with a welcome speech by Abduvaliev Abdygany, vice-rector. 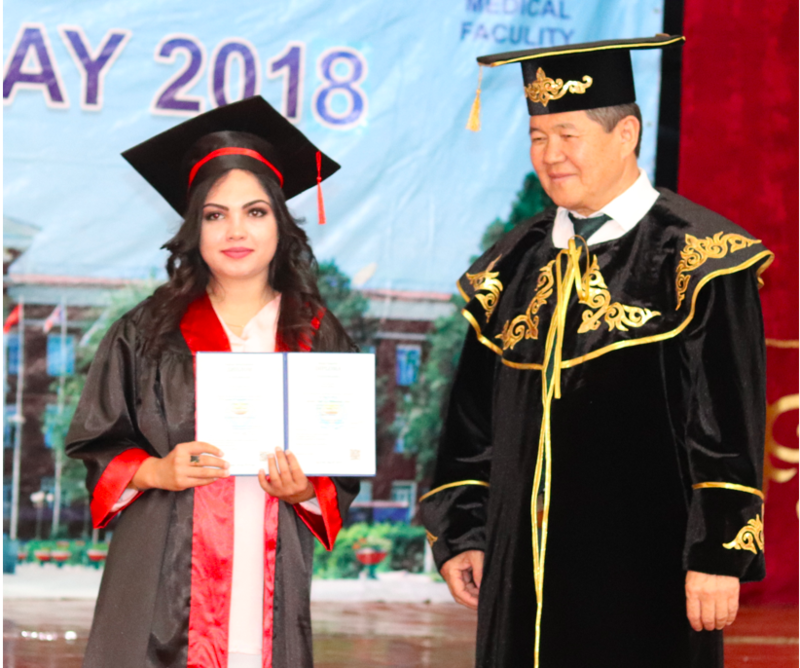 The year 2018, International Medical Faculty of Osh, witnessed the graduation of 83 undergraduates which was indeed a prestigious moment. An emphasising speech was given by Dr .Muratov Dzhanibek which was an inspiration for all the graduates. Sabira Mamatova mam also delivered her speech encouraged and wished the students to reach higher goals. 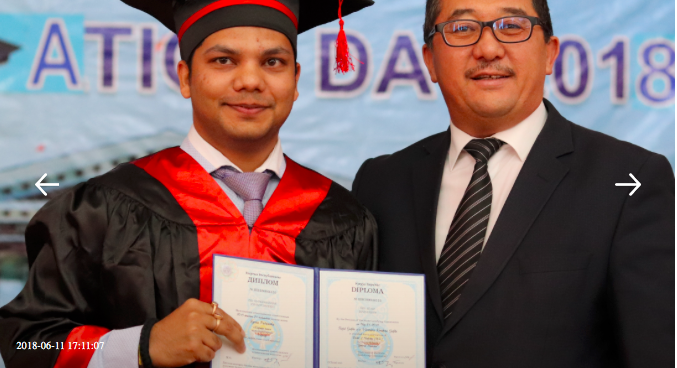 A proud parent Mrs. Kalindi Venu of 2 graduators turned the environment into a very soothing, emotionally blissful moment by her thankful words, and from the Under Graduates Venu Shirvastava shared his college life experience and the fun they had. The convocation day ended with a vote of thanks by Dr. Dzhumaeva Lazokat, vice dean, which was followed by the Cap flipping ceremony.